In 3-quart saucepan, melt butter over medium heat. Add onion; cook 3 to 5 minutes or until softened. Add celery and carrots; cook 5 to 7 minutes. Meanwhile, remove and discard skin from chicken. Remove chicken from bones; cut chicken into small pieces and discard bones. 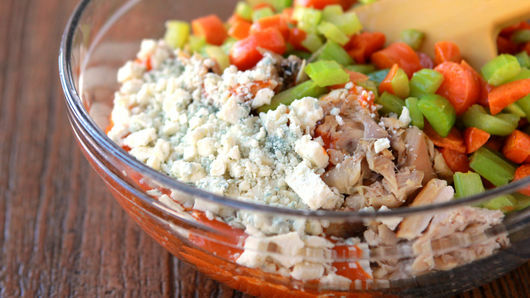 In large bowl, toss vegetable mixture, chicken, Buffalo wing sauce and cheese until well mixed. Make pie crusts as directed on box for Two-Crust Pie using 10-inch glass deep-dish pie plate. Pour chicken mixture into crust-lined plate. Top with second crust and flute; cut slits in several places. Bake 25 to 35 minutes or until edge is golden brown. 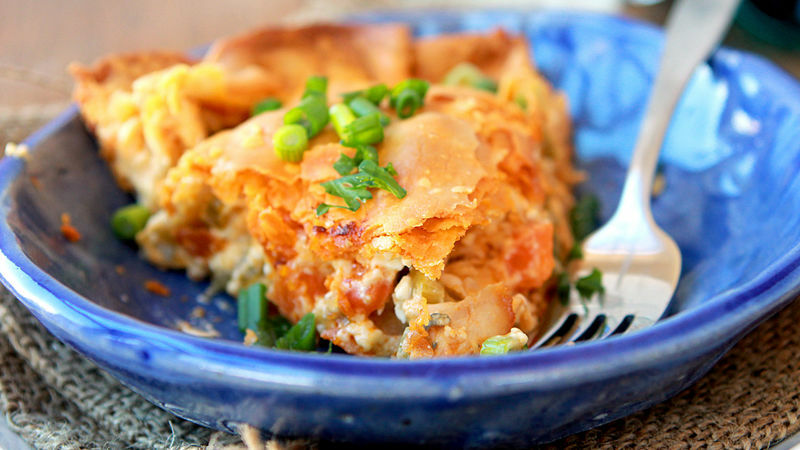 For an extra-cheesy pie, toss 2 cups of shredded Monterey jack cheese with the blue cheese. 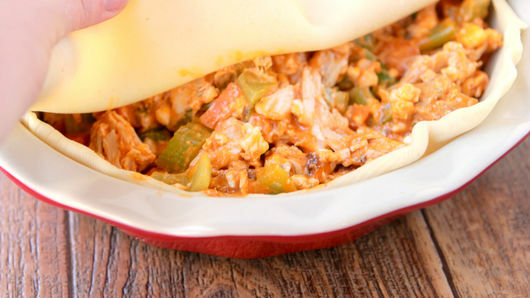 Two cups diced cooked chicken breast can be substituted for the rotisserie chicken in this recipe.